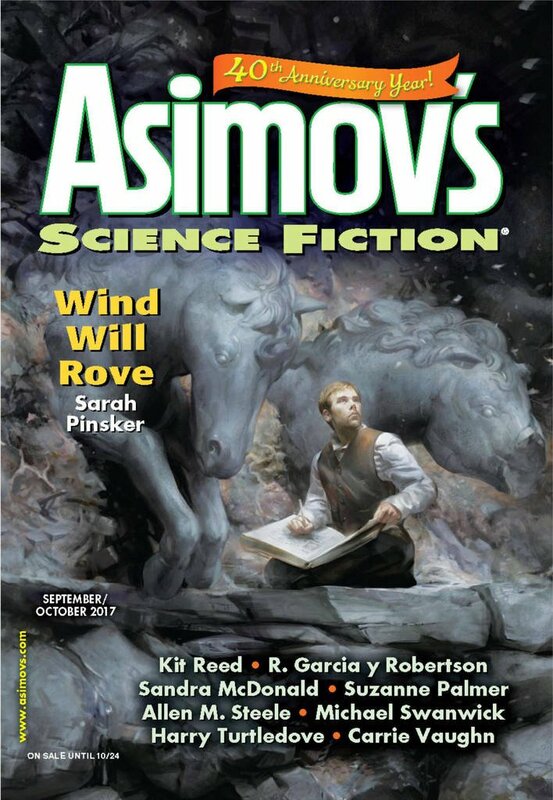 "Books of the Risen Sea," by Suzanne Palmer [bio] (edited by Sheila Williams), appeared in Asimov's Science Fiction issue 09-10|17, published on August 17, 2017 by Penny Publications. Pro: This is a coming-of-age story. At the beginning, Caer just wants to be left in peace to restore the old books, but that’s not in the cards. However, by doing the right thing for Mike, Jani, and even the robot, we’re left with the feeling that his position in the community is much stronger; he has allies he didn’t have before. 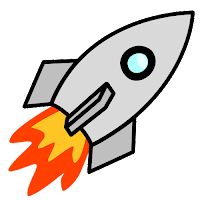 Further, thanks to Jani, he realizes he can write his own stories; he doesn’t have to be dependent on the books he can salvage. Caer has to hide out in the library because most people don't accept him as male. To begin with, the only ones who do are Mr. Adams, who helps him get supplies, and his sister, but it's heartening to watch this circle of "good guys" grow as the story progresses. First there's the Robot, but we strongly suspect that Caer has won Mike over by the end because Caer has proven his manhood to him. The setting is interesting enough that it would be nice to see more stories in this half-drowned city by the sea. Con: It’s a simple story: Caer is the only character with a solid plot line. It’s hard to believe the robot still works even after immersion in salt water. And that it has no resale value. Really liked this one. The subtle reveal of Caer being trans, the range of responses about that, the snippets of the book Caer is trying to piece together, the world-building, the robot's characterization...although the swimming and recharging (how?) stretched my suspenders of disbelief a bit. Yes, this really was a wonderful story--minus the robot.